Ingrid’s original background is in speech pathology, specialising in child language development and disorders. Her work in this area revealed the interwoven relationship between oral language, reading and writing, which prompted her to pursue doctoral studies in language and literacy. A Fulbright scholar and recipient of the Spencer Foundation Dissertation Fellowship, Ingrid - who is proudly South African - lectured at the University of the Western Cape for most of her career to date. 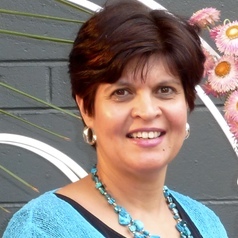 She has subsequently lectured at Macquarie University and Alphacrucis College and currently lectures in literacy pedadogy in undergraduate and post-graduate pre-service teacher education programs at Australian Catholic University. Ingrid has a diverse research background, broadly addressing child development and well-being, with a particular focus on language and literacy development. Her previous research includes studies on children's perspectives on their wellbeing, children's knowledge about and attitudes towards children's rights, emergent literacy development, and children's oral narrative abilities. Her current research explores the impact of shared book reading experiences on children’s literacy development.